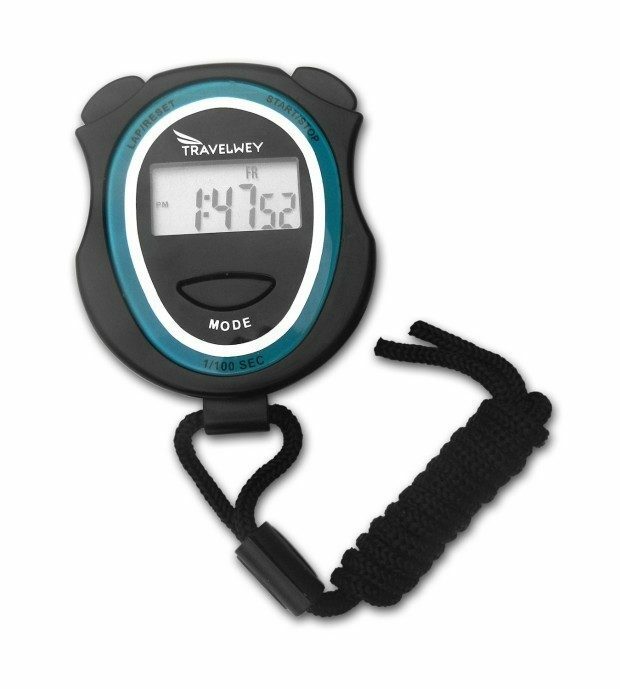 VERY SIMPLE TO OPERATE – The Travelwey Digital Stopwatch is very simple to operate with minimal key presses to control. LIGHT WEIGHT – The Stopwatch is made of hard plastic and is extremely light weight, ideal when handheld, on the wrist or stowed around the neck. CHILD FRIENDLY SECURED BATTERY – The Stopwatch takes a single LR44 or LR1130 button cell battery and requires removal of five screws to access the battery compartment. Ideal when in the hands of a child. TIME, DATE AND ALARM – Additional features include the Time, Date and a built in Alarm. An hourly chime can also be switched on/off. DIMENSIONS – 60 x 17 x 80 millimeters.